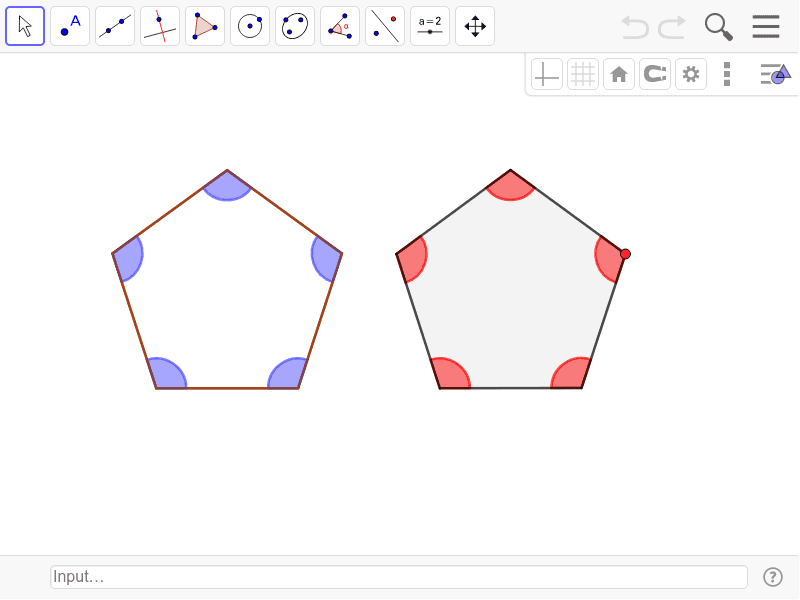 These pentagons are congruent. Drag the red vertex to modify the right one. Which set of angles is bigger after your modification?